As bicycle riding season seems to be coming into bloom, I thought you might enjoy this …. I have this poster three feet high framed in my living room. I absolutely love it. 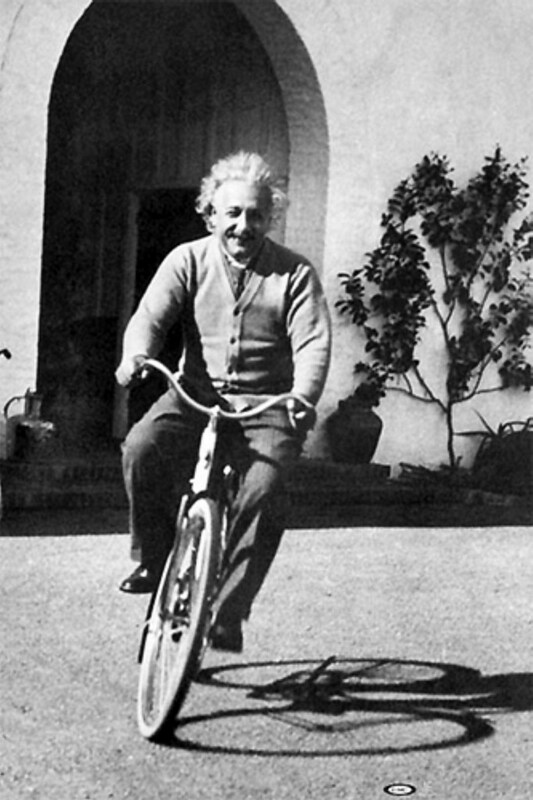 Einstein looks like he is having the kind of enjoyment that a child gets out of riding a bike. I feel good every time I look at it. That is also exactly how I feel when riding my bicycle. I found the following quotes on the Argonauts website. Do you guys have bike share out there? We do indeed. There are over 400 bike racks around the city. The company is called Divvy Bike. How about you? Hi Tony, I would call this post as ” Greatest Brain on Cycle” . His relativity is indeed nothing but like cycle wheel. Thanks for sharing. Good one!